ARC Open House: Come to see the cool robots and meet the talented people behind them at our open house! Take a ride on our self-driving vehicles, see a selfie with our drone camera, try out our soft robotics prototypes, and witness our robots in action! This is a complimentary event, but please pre-register here to help us plan for the logistics and prepare for your arrival. Light refreshments will be catered. Please contact us at robotics@nus.edu.sg or +65 66012806 if you have any questions. Please click here to download detailed information for transportation to the Open House. By Taxi: If you are coming from Marina Bay Sands, the approximate taxi fare is about S$20. It will take about 20 mins without traffic. Instructions to the taxi driver: Take AYE, exit Clementi Road, and enter NUS through the first entrance on Clementi Road. Please refer here for the location of the Advanced Robotics Center and the autonomous vehicles demonstration. By MRT Train: If you are coming from Marina Bay Sands, the fare is about S$ 1.40 and will take 35 minutes each way. From the Bayfront Station (DT16) on the Downtown Line (Blue), board the train towards Bukit Panjang Station, ride it for 7 stops and alight at Botanic Gardens MRT Station (DT9). Change to the Circle Line (Orange), board the train towards Harbourfront Station, ride it for 5 stops and alight at Kent Ridge MRT Station (CC24). 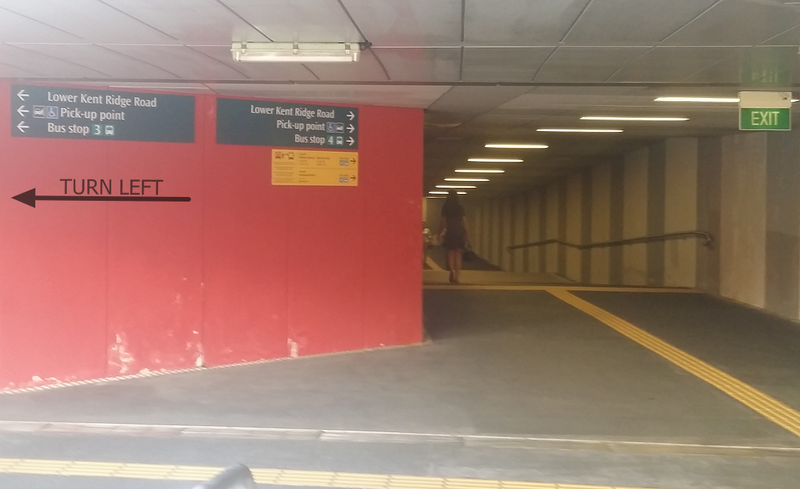 Exit the Kent Ridge MRT Station via Entrance A and after turning right at the exit, you should see this. Now turn left a few steps ahead you will reach Bus Stop 3. Board the free shuttle bus service to Advanced Robotics Centre. Bus Stop 3, Kent Ridge Station → Site for Autonomous Vehicles → Advanced Robotics Center → Bus Stop 3, Kent Ridge Station. The last bus from the Advanced Robotics Center will depart for Kent Ridge Station and then to Marina Bay Sands. The shuttle bus schedule is shown below.